15th International Conference on Surgical Pathology and Cancer Diagnosis : Vydya Health - Find Providers, Products. 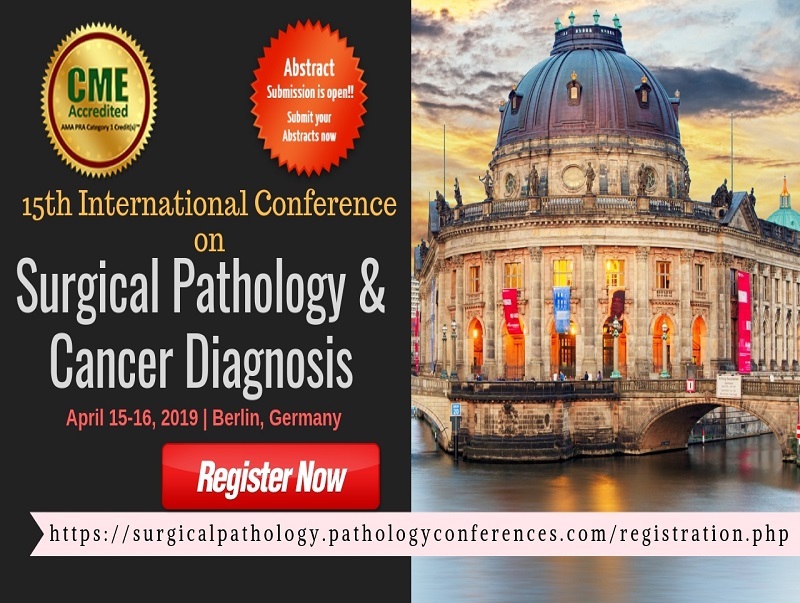 The ConferenceSeries is holding its “15th International Conference on Surgical Pathology and Cancer Diagnosis (Surgical Pathology 2019)” from April 15-16, 2019, Berlin, Germany. The theme of this meeting is “Surgical Pathology the contemporary era for Expeditious and Advanced techniques to Diagnose Cancer at your Astute”, which will provide an international platform to discuss the present and future challenges in primary care, patient care, continuing education and expertise meeting. Surgical Pathology conferences aim to promote continuous medical education and encourage a nourishing exchange of facts and ideas in how to deal with the disorders involving patients. Great scientific faculty from USA, Europe as well as other continents expects a highly interesting scientific as well as representative event.